Prior to joining Northwood Ravin, Mike attended UNC Charlotte and then UNC Chapel Hill for Law School. 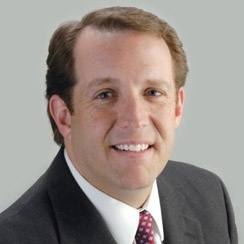 Mike spent 19 years as a litigator in Construction Law and Commercial / Business Litigation at the Charlotte, North Carolina firm of Johnston, Allison & Hord, PA where he was the Litigation Practice Group Leader. Over the course of his practice, Mike has been twice named as one of the top 100 attorneys in the State of North Carolina and in 2009 he was named in Business North Carolina magazine as the top attorney in North Carolina for Construction Law. For several years, he was the co-author of the Construction Claims Chapter in the North Carolina Construction Law Desk Book publication for the North Carolina Bar Association. Mike taught Business Law in the UNC Charlotte MBA program for two years and he currently serves as the Vice Chair of the UNC Charlotte Board of Trustees. He is currently developing the Uptown 550 mixed-use project with 421 luxury residential units, retail and office located in Charlotte, NC.